The discussion on the ‘dust’ theory of ice age termination at Judith Curry brought a couple of other interesting papers to light. 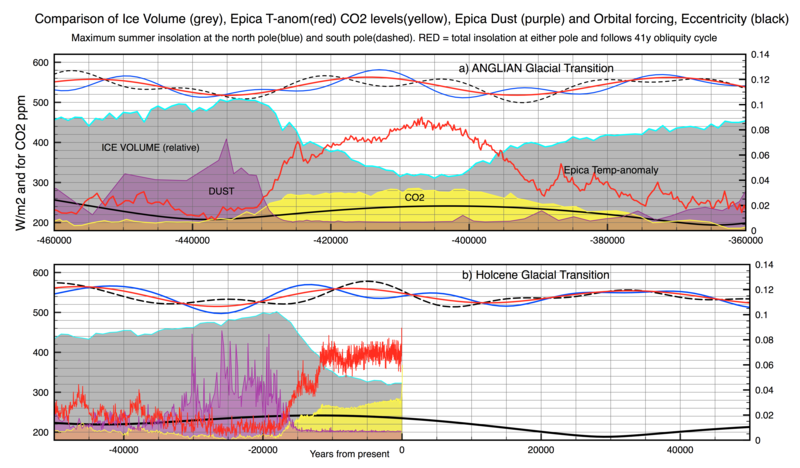 This has started me thinking again about how recent deep glaciations terminate. Such glacial cycles apparently now only terminate when the ice sheets reach a critical size, especially at low eccentricity. Why? 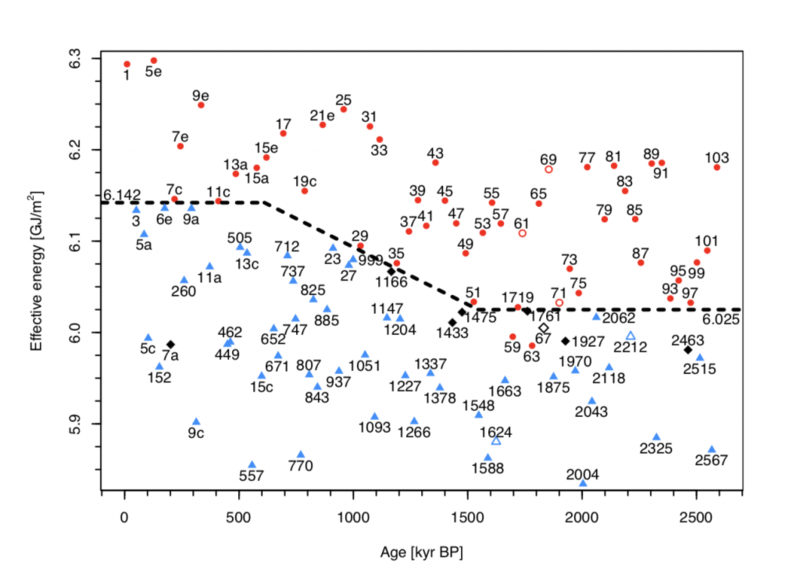 effective energy for each peak in caloric summer insolation as a function of age for the past 2.6 Myr. The numbers are the MIS values for each transition in LRO4 benthic fora stack. Bathymetry of the Arctic Ocean curtesy NOAA. 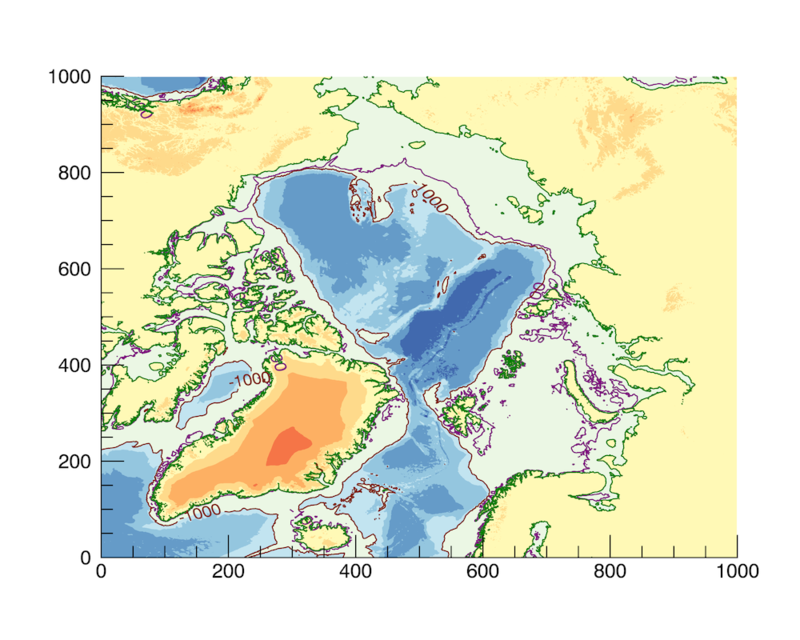 The 100m contour shows the sea level 20,000y ago (essentially most of the light green area) and the 1000m contour shows the maximum depth of sea ice. 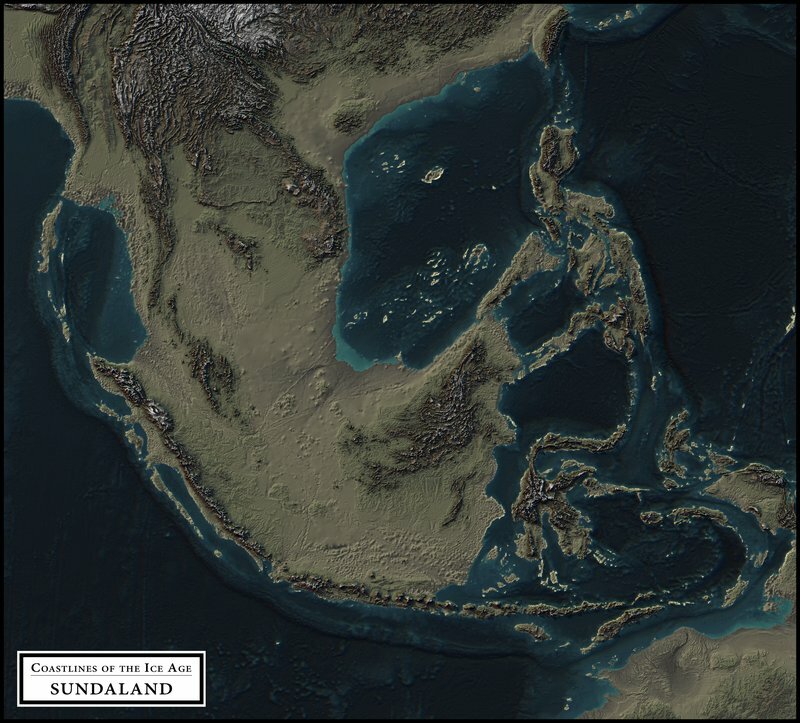 5 million years of sea-level change. The top curve is the obliquity of the earth’s orbit which was the metronome for glacial cycles until a threshold was crossed. This entry was posted in Climate Change, Ice Ages and tagged Ice Ages, Milankowitz.. Bookmark the permalink. When the sea level falls, much of the land exposed consists of mudflats, which dry out and become copious sources of windblown dust, reducing the albedo over a much larger area. As long ago as 1984, Saltzman & Sutera proposed that the alternation of glacial and interglacial stages is the result of a relaxation oscillation synchronized by the astronomical cycles. The record certainly has the characteristic form (a triangular waveform, with rapid onset and slow decline). So do Dansgaard-Oeschger events, on a much faster and smaller scale. If this is correct, it means that the ice age transitions would continue even in the absence of external forcing, but their frequency could be very different. Milankovitch effects should be regarded not as forcings but as one among several small synchronizing triggers. Other triggers may include albedo changes (dustiness?) and geomagnetic excursions (via the Svensmark connection between galactic cosmic rays and low clouds). The behavior of complex nonlinear systems with multiple coupled limit cycles is a major subject of current research, with many puzzles still unsolved. It is however known that small changes in the inputs to such systems may change the phasing and/or the frequency of limit cycles, and that interactions between different cyclic systems may entrain the oscillations, synchronizing them so that the ratio of the frequencies is a rational number. There is now an extensive literature on this subject. Most of it is quite technical, but that is no reason for climatologists to ignore reality. As long ago as 1984, Saltzman & Sutera proposed that the alternation of glacial and interglacial stages is the result of a relaxation oscillation synchronized by the astronomical cycles. I would agree with that. The switch from maximum glaciation to interglacial is so sudden that it clearly is non-linear. The sawtooth shape of each glacial cycle also shows a non-linear response to changing insolation. There is a sort of climate inertia term which pushed far enough, eventually becomes unstable to small changes. Thanks for this post Clive. A further complication is the discovery that in some places, like the British Isles, mini ice ages can appear as a shift from a maritime to a continental climate regime, thus displaying both greater summer warming and deeper winter cooling. This recent interesting findings concern past climate change in NH, Scotland in particular. The purpose of the research was to better understand how glaciers could be retreating during the Younger Dryas Stadia (YDS), one of the coldest periods in our Holocene epoch. The lead researcher is Gordon Bromley, and the field work was done on site of the last ice fields on the highlands of Scotland. 14C dating was used to estimate time of glacial events such as vegetation colonizing these places. Bromely explains in article Shells found in Scotland rewrite our understanding of climate change at siliconrepublic. Very interesting. 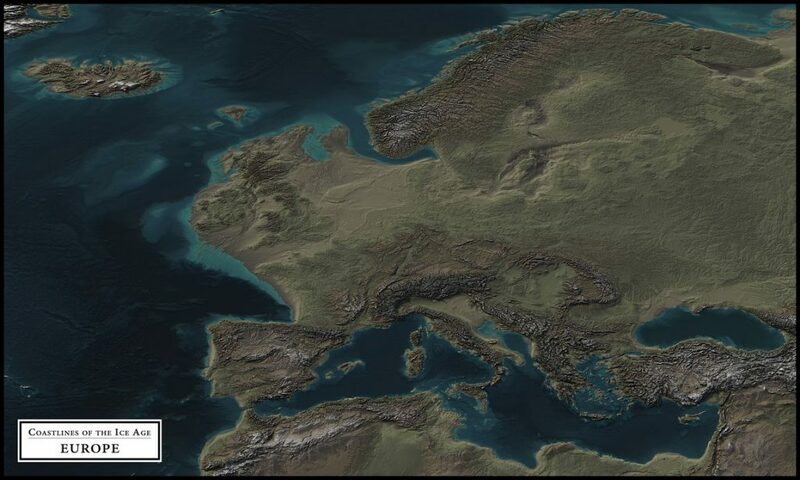 The climate of the UK is determined by the competing influence of the North Atlantic and continental Europe. Strangely enough there seems to have also been a Younger Dryas type event during the Anglian interglacial 400k years ago.